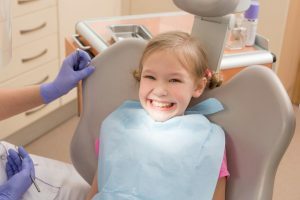 Does My Child Need Dental Sealants in Castle Rock? If your child has recently been to their dentist, they may have recommended that they benefit from dental sealants in Castle Rock. Now, you are wondering if they are really necessary? To help reduce your child’s risk for tooth decay, they will provide an added layer of protection. While they are commonly used in children, you are never too old to get them. You can help to protect your entire family’s smiles with a simple preventive treatment. Although it is preventable, tooth decay is the most common chronic condition impacting children in America. According to the Centers for Disease Control and Prevention, it is estimated that 20% of children under the age of 11 currently have an untreated cavity. While they are preventable, children are prone to tooth decay because they often have poor oral hygiene habits. As a result, cavity-causing bacteria eats away at the enamel until a hole forms, leading to decay. To reduce your child’s risk for a cavity, dental sealants can easily be applied at their next appointment with their pediatric dentist in Castle Rock. They are a plastic coating that is applied to the chewing surfaces of the teeth, most often the molars and premolars, which are prone to cavities because they are difficult to clean. Using a simple and noninvasive procedure, you can give your child the protection of a dental sealant. First, your child’s teeth will be cleaned, and an acidic solution will be applied to roughen the surfaces. It is then rinsed off and the clear sealant will be applied. A special light is then used to harden it, allowing it to turn into a hard-plastic varnish coating. Now, your child can chew with ease while protecting their smile. They can last for several years with the right care; however, if one should become damaged, it can easily be replaced at their next appointment with their children’s dentist in Castle Rock. Dental sealants are recommended for children who have had their premolars and permanent molars erupt from the gum tissue. While they are often used for children, you are never too old to benefit from them. People from all ages can enjoy the protection of the sealant, especially those who are prone to cavities. If you are ready to get an added layer of protection, talk with your dentist about the sealants during your next dental visit. 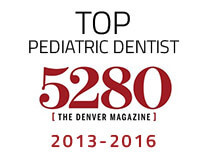 Dr. Layne Benzley is a trusted dentist in the community who specializes in pediatric care. With a focus on prevention, he works to build healthy, beautiful smiles. In addition to cleaning and checkups, he provides many services to protect the teeth from damage, including fluoride varnishes and dental sealants. If you are interested in protecting your child’s teeth with dental sealants, Dr. Benzley can help. 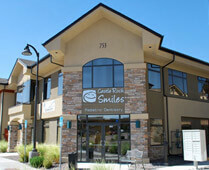 Contact Castle Rock Smiles today to schedule their appointment for a healthy, cavity-free smile. Comments Off on Does My Child Need Dental Sealants in Castle Rock?